Terrific opportunity! 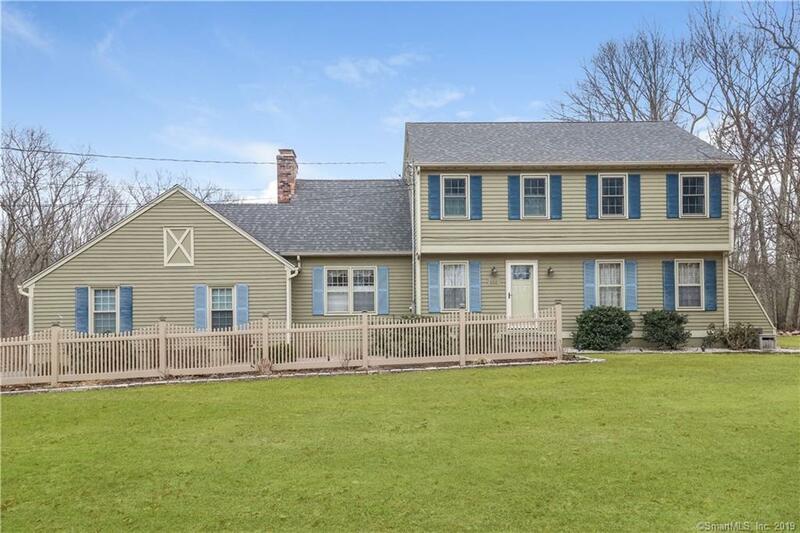 This 4 bedroom, 2 1/2 bath Colonial has been lovingly cared for and updated with a new roof, a remodeled, bright eat-in kitchen with stainless appliances and granite counter tops, new Harvey windows on the upper floor, ARMAC generator hook up, central air conditioning and so much more. There are hardwood floors throughout (even under the carpeted rooms). You'll enjoy the warmer months in the fabulous 3 season room overlooking the expansive back yard. There's also plenty of room in the finished basement for a playroom, media room, man cave - whatever you need! The exterior is scheduled to be fully painted in the coming weeks. A pretty fence along the front walkway and a brand new front door will welcome guests. Enjoy all that Madison has to offer with it's beautiful beaches, hiking trails, cinema, restaurants and lovely town center. Priced below town appraisal - a great value!